I have been on 7 different trips with Royal Caribbean. Five have been on the Rhapsody, one on the Radiance (Alaska 2005), and now the Jewel as well. Not once... repeat... not once have I ever complained about the competence of a crew. Oh sure, maybe we didn't get a boom box delivered on time or maybe they didn't want us dancing late at night. There will always be minor problems. But overall, the performance of each RCCL Staff has always been exemplary. That is, "exemplary" until now. Throughout the week, the Jewel Staff made big mistakes, small mistakes, stupid mistakes, and many needless mistakes. They made every kind of mistake possible. This is a long story. Hmm. Change that to "very long". It includes three serious incidents - the two Tender boat horrors and the Final Day Fiasco. It details four less serious but still aggravating incidents - Cattle Call, the Smoking Problem, the Shore Excursion line, and the Jigsaw Puzzle Confrontation. The Tender problems made me so angry I wrote a letter to the Jewel's administration. You will be interested to learn how the Jewel Staff handled my complaints. Something aboard the Jewel was wrong, very wrong. I wasn't the only one to speculate the ship might be cursed. Decide for yourself. We were instructed to arrive at the Jewel no earlier than 2 pm. We arrived at 2 pm only to find several hundred passengers already waiting in the cruise ship terminal. Between us, Marla and I had six pieces of luggage - four suitcases and two carry-ons. Instead of sending the porters to meet us, each passenger was required to stand in line. This meant each time the line moved, we had to shuffle six pieces of luggage forward, a process that took 20 minutes. Finally we reached the Porter Station. At this point, they whisked our luggage away. Now we were sent inside the building to a holding area for an additional 45 minute wait. Eventually our particular group was called. Now we were required to stand in a new line to check in. This took another twenty minutes. We had already "checked in" using online. However this extra effort didn't seem to give us any advantage. Now compare this situation to our previous experience. 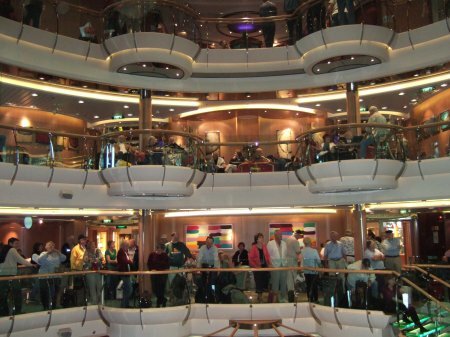 One month earlier we took another cruise aboard the Royal Caribbean Rhapsody. We had also checked in ahead of time online. It took us less than ten minutes to board the Rhapsody. Aboard the Jewel, this same process took an hour and a half. These people were not even remotely equal to the Rhapsody at handling registration. During the Cattle Call, there was a rumor floating around that some of the favorite shore excursions were already sold out. Consequently Marla and I were very concerned about getting signed up as quickly as possible. The moment we got to our room, we threw our stuff down on the bed and raced to the Front Desk. When we got there at 4 pm, there were three people working the desk and a line which snaked all the way out the Centrum. Apparently we weren't the only ones who had heard that rumor. Everybody in line seemed to be worried. Marla looked at me and I looked at her. We were in for our second long wait of the day. Sure enough, we stood there for over an hour. We thought the ordeal was almost over when suddenly a woman announced that the Shore Excursion Desk was now closed. She said it was time for the Life Boat Drill and we needed to proceed immediately. At this moment, there were only two people still ahead of us. We had just been dismissed. I looked at the woman who made the announcement and asked her to give us a number or put our names on a list for priority service after the drill was over. She ignored what I said and told us the Desk was closed and we needed to leave. I wasn't going to accept that. This time I spoke loudly. I said that we weren't going anywhere until they helped us. I said there was no reason for them to treat us like that. I was incredulous. This is a business that strives to provide quality service. Behavior like this was way over the line. 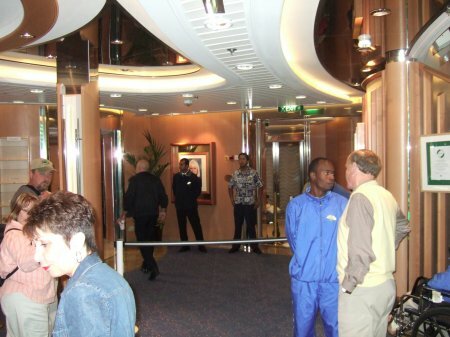 I had never seen a Royal Caribbean employee act in this manner before. Who on earth treats people like this? We had waited patiently for over an hour. We deserved to be have our trips taken care of. I wasn't the only one who was mad. Everyone was furious; I was just the loudest. I guess they decided to shut me up. Immediately one of the women at the Desk came running up to Marla. She handed Marla a piece of paper. She said if Marla would give her the trips we wanted to take and her room number, the woman would make sure we got signed up. Later that night, we took the chance to check. The woman had never done a thing about it. Her display of concern was just a scam to shut me up. Martha's Vineyard was our first stop on the trip. This lovely little island represented our first look at fabled New England charm. This was the day that Marla and I had planned to explore the entire island. Martha's Vineyard really wasn't that big a place. We were going to rent a bike, visit the nearest town, have a beer, take the ferry over to Chappaquiddick, get some ideas for some goofy story about the infamous accident ("we will cross that bridge when we come to it"), have some lunch, then amble back to the ship in the late afternoon. It sounded like a fun plan. The moment I got the day's itinerary, I frowned. When we originally signed up, the RCCL website said Martha's Vineyard trip would last from 9 am till 4 pm. Now I saw that time had been changed to 10 am. One hour gone right there. Marla and I were ready at 10 am. So was the rest of the ship. There were literally hundreds of people in line ahead of us. What on earth was the problem? That's when I learned about Tender Boats. 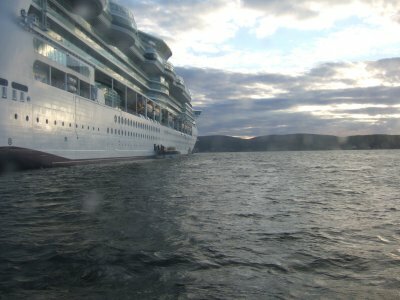 Whenever a giant cruise ship like the Jewel visits a small port, it is simply too big to dock in shallow waters. Instead Tender Boats that also serve as life boats are used to ferry passengers back and forth. There were four Tender Boats on the Jewel. There were 2,100 passengers. Just how did they expect to get two thousand people on shore at the same time? 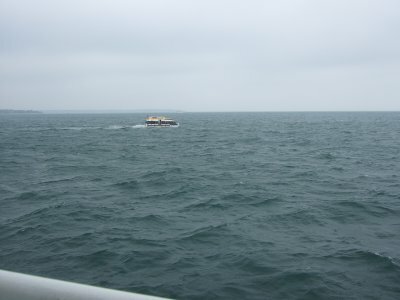 Making things worse, an announcement came out over the loud speaker that the tender boats were experiencing rough, choppy water and the going was slow. The Jewel announcer told us how lucky we were that the operators were brave enough to go out in waters like these. She added that other ships would probably not even try. Well, how about that! Let's hear it for the boys! This was an attempt to get our sympathy and win some extra patience. I took her word for it. We thought the drivers were heroes for even trying. Since we were cooped up in some hallway, we didn't know what the waters looked like. Later I learned the truth. Those waters weren't that rough. Look at the pictures. Big deal. We sat on the steps waiting for the tender boats. And we sat. And we sat. I wish I had taken a picture to give you an idea of how frustrated the people were. At this point, I was getting a hunch, but I hadn't quite figured out this was just the beginning of one poor job on the Staff's part after another. Finally after sitting on those steps for two and a half hours, it was our turn to go to shore. Our free time had been reduced from seven hours to 3 1/2 hours. I was furious over the lost time. How were they going to give it back to me? Nor were things any better on the way back. Marla and I returned to Oak Bluffs after a much-abbreviated bike ride due to the reduction in time. We were greeted by a line that stretched eight hundred yards. Naturally you say I must be exaggerating. Well, look at the pictures. Once I saw this line, I realized they were out of excuses. The sun was shining, the sea was calm, and there was still a line. How pathetic. So I whipped out my camera and snapped away. I had a lot of time on my hands. Marla and I had rushed back to Oak Bluffs to be there early at 3:30 pm like they suggested. Once we were there and saw the line, we were really angry at ourselves for taking them at their word. We had skipped lunch only to find a line that stretched half a mile! I truly regret my camera was unable to take a wide angle picture of the line to prove just how absurd the situation was. While waiting in line, it dawned on me I had plenty of time to go buy a tee-shirt and some postcards. So I told Marla I would be back in ten minutes. Meanwhile the ten minutes became 30 minutes. I poked my nose out of the store to make sure the line was still there. When I got back, a boat was just pulling out. It turns out my wife was aboard. A couple friends told me that Marla had literally been forced on that tender boat against her will. Marla complained that she was waiting for her husband, but some Gestapo policeman pushed her on the boat anyway. Add to that a thorough drenching she received when another Jewel tender came too close and you can guess what kind of mood Marla was in that afternoon when I caught up with her. It was obvious to everyone that the tender drivers didn't have a clue what they were doing. Besides the long delays due to the alleged rough waters, one boat crashed into a pier and another almost sunk Marla's boat in the near collision that left her soaked. Speculation was that this might have been the first time these men had ever driven these boats. Since the Jewel was making its first New England cruise of the year, we wondered if these operators were new to the task. After their poor performance today, we definitely had the circumstantial evidence to draw this conclusion. I was angry. I was also worried. Tomorrow was Acadia National Park. I prayed they had learned from their mistakes today and would have their act together for Acadia, the highlight of the trip. By the way, if you are looking for silver lining in the dark clouds, at least the tender problems saved you from my Chappaquiddick story. When Marla and I first considered taking this trip, we did so for one specific reason - I had a lifelong desire to see Acadia. A Texas boy doesn't get a lot of chances to see Maine. Today I was pretty excited. Oh boy, ten and a half hours at the island of my dreams! Sign me up! This trip wasn't cheap. Transfers, air fare, hotel in Boston, and the cost of the cruise were expensive. The price tag for this trip started at $4,000 for 2 people. Plus the plane trip was close to four hours. But in my mind it was all worth it for the chance to see the misty isle of Acadia. Marla and I had big plans. We were going to rent bikes, pack some lunch and explore the island. Ten hours was plenty of time to see many of the favorite spots at this legendary park first-hand. Thunder Bay, here we come! So take a quick guess how I felt when Royal Caribbean changed the itinerary to read 10 AM - 6 PM. I had just lost two and a half hours from my dream day. Mind you, they already had my money when they made the switch. Therefore I had a chip on my shoulder before the trip even started. Now with the problems at Martha's Vineyard haunting me, I was very worried what would go wrong next. On the morning of of our visit to Acadia, Marla and I walked out on our balcony to see the one of most beautiful islands in America. The sight from our balcony was the same as the picture on the right. The island was calling to me! Marla and I made our way down to the Tender Boat area. As we walked, the loudspeaker announced that one of the boats had just suffered a terrible accident. Its propeller had gotten caught in a lobster trap. The boat was temporarily out of commission. Then we hit the line. It was even worse than the day before. There were hundreds of people lining the halls and the stairway. Every one of these people had a huge frown on their face. Then we heard a rumor - a different tender boat had run aground in the low waters near the pier. The engine was smoking due to the effort the operator made to free the boat from the sandy ledge. Now we were down to two tenders. A certain type of panic ran through our minds over the futility of this situation. Would they consider letting us swim to shore? Or row a boat? One time is an incident. Two times is a coincidence. But three times is a pattern. The Jewel Staff had screwed up in both directions yesterday at Martha's. They had used up every ounce of patience we had with yesterday's problems. We had no patience left for today. Get us off this damn ship! Shouting matches broke out among the passengers and the members of the crew assigned to keep us under control. Some very nasty words were said. The people who were assigned to interact with us compounded the problem by promising things that didn't come true. "Just 15 more minutes and it will be your turn!" "We are doing everything we can." Soon we lost all confidence in their word. There was a breakdown in respect. The Staff told people to move off the stairs for their safety and the passengers told them to get lost. Small battles broke out all morning long between the Staff that had no clue what to do and the helpless passengers who were sick and tired of waiting. The situation was very tense. It seemed like the tender Operators didn't have a clue either. These two accidents reinforced our skepticism from yesterday that they were brand new at this task. Meanwhile people's anger rose. The words got uglier and uglier with any RCCL Jewel representative unlucky enough to be visible. One young woman left in tears. Increasingly our only contact with the ship came via the loudspeaker which constantly ordered us to stay off the steps and just be a little bit more patient. I know you are concerned, so I will allay your fears. I behaved myself. I knew it wouldn't do a bit of good to take my anger out on these people who had no control over the situation. I found a corner near my group of friends, pulled out my hand-held computer chess game, sat down and stayed quiet. Inside I was seething. All this work to get here and now this. Did these people have any shame at all? After two hours of waiting and worrying, finally it was our turn. We got to the island at 12:30 pm. We didn't have time for any real adventure, so we settled for a bus tour. What other choice did we have? The bus trip was nice, but it was incomplete. We spent 15 minutes on top of Mount Washington. Not enough time to explore. We spent 15 minutes at a nature park. Not enough time to explore. We spent 15 minutes at Thunder Bay. Not enough time to explore. The whole trip was a tease - we saw just enough to want to see more. We realized we had been cheated out of a wonderful experience. We returned to Bar Harbor around 4:30 pm. That didn't leave us with much time to do anything else but buy a couple tee-shirts, then get back in the line to return to the ship. 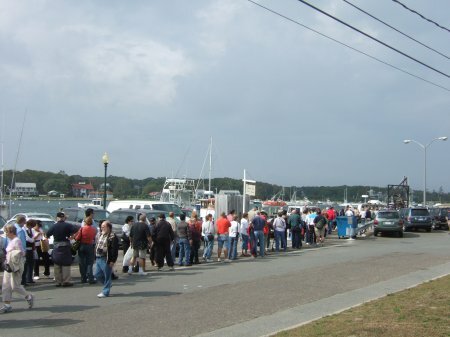 The line today was just as bad as it was in Martha's Vineyard a day earlier. Actually it was longer. "The tender operation was obviously being run by a group who had no idea what the were doing. 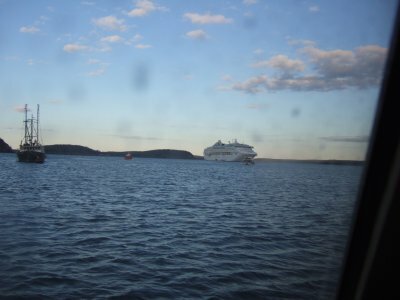 We had a chance to watch several tenders dock both at the ship and on shore at Bar Harbor, and it was quite apparent there was a lack of skill present. One tender went right past the dock like he didn't know where he was supposed to go, then had to back up to get to the right spot. This incompetence reminded me of the day before when we were coming back from Martha's. 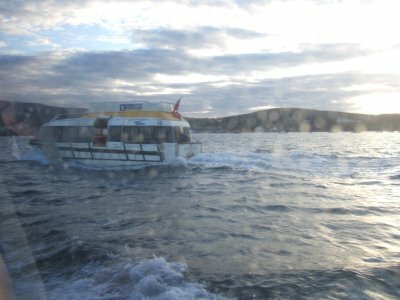 We had an extra long delay due to rough waters, and there was a near-collision with another tender resulting in many of the passengers getting drenched by a large wave. While waiting at Bar Harbor, I counted four Princess tenders for every one RC tender that came to the dock. Princess had no line at all. There was a tender loading, and two waiting at all times." I agree with what Dan wrote about the Princess ship. While standing in line, I noticed a curious phenomenon. There were actually two lines - one for the Jewel and a parallel line for people getting back on the Princess ship. I tried to talk to the Princess passengers to understand why their ship was so much more effective, but it didn't work. Their line moved so fast I couldn't get any information! Two sentences and they were gone. Meanwhile we stood still. At the time, I wondered how many Tenders the Princess had. Why were they so much more successful at transporting their passengers? On the way back to the ship, I took the time to count the number of tenders the Jewel had. We were passed by Tender #10 and Tender #12. Ahead of us another Tender was unloading. Including our own Tender, there were 4 Tenders in operation. Was that enough? Of course not. Were any other boats hired to help? None that I could see. All I can say is the difference in the quality of performance by the Princess ship and our own Jewel was absolutely shocking. For the second day in a row, the Jewel had failed to do its job. The morale of the passengers was pathetic. We were furious at having our dreams smashed by their incompetence. As I returned to ship, I counted Tenders. Tender 12 passes us first. That makes one. You can see these are small boats. Capacity was listed at 120. This one is Tender 10. That makes two. One Tender was ahead of us. Here it is unloading. That makes three. My own boat makes four. Four tenders for 2,000 people. Now how much sense does that make? 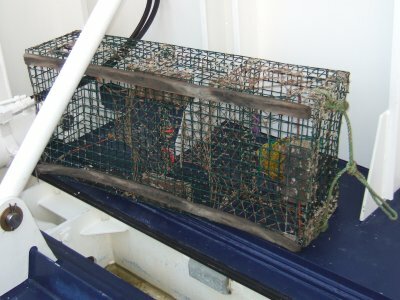 The infamous Lobster Trap that disabled one of the tenders. INCIDENT FIVE - SMOKING IN CABINS IS NOT PERMITTED. As long as I live, I will never understand why people who smoke are so insensitive to the distress of other people who are affected by their noxious fumes. I do not care if someone smokes. It is their right and it is their business. But why would they want someone else to suffer? What angers non-smokers the most is that smokers seem to ignore just how awful the effect of cigarette smoke is on other people. I have a basketball buddy who told me an interesting story. He grew up thinking he had respiratory problems. He coughed, he sneezed, he wheezed, he got sick in his stomach, and he got headaches. After he went away to college, all these problems disappeared. That is how he figured it out. His parents were smokers. They had nearly choked him to death growing up with secondary smoke. On Royal Caribbean, the rule is that smoking is not permitted in cabins. It is a good rule. Otherwise the next occupants who don't smoke would get sick from the fumes the following week. On our trip, one of our couples was unlucky enough to get stuck in a cabin next to someone who ignored the rules. Sure enough, day and night, smoke would seep through invisible openings and leave our couple gagging for breath. One day they asked me what to do. I suggested they ask for another room. I don't know why, I just figured that was the simplest solution. So they went to the front desk to explain their problem. Sure enough, rather than simply enforce the rule by confronting the people in the neighboring room, the front desk told our couple they would find them another room. So they packed up their bags and moved. Now how do you think the next occupants of the room with the illegal smoker are going to feel the following week? The Staff took the easy way out. Just move the complainers somewhere else and shut them up. And if next week's people are miserable, so what? 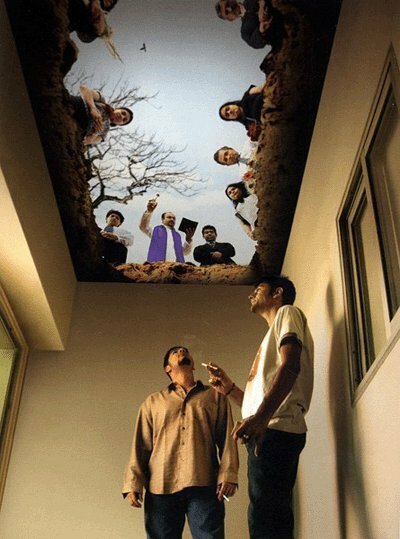 This is the designated smoking room at a company. The ceiling above is not real. It is an optical illusion. a very odd sense of humor. INCIDENT SIX - YOU CAN'T DO THAT PUZZLE HERE! 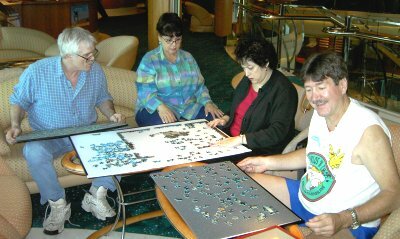 Putting together Jigsaw Puzzles is a tradition on SSQQ Cruise Trips. It is a perfect "group activity" that can involve several people. Here in the picture on the left, you can see me working a puzzle with my sister-in-law Roz (in black) plus my friends Gay and MG Anseman. This picture was taken on the 2004 Mardi Gras Cruise. I had a confrontation with a dining room supervisor over a jigsaw puzzle that left me shaking my head. This problem paled in comparison to the magnitude of the Tender problems. But this incident and others like it goes a long way towards explaining why the passengers disliked the crew so much. The ongoing tension between the two groups was clear to anyone who paid attention. 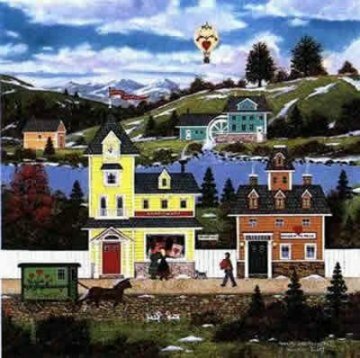 Jigsaw Puzzles are a marvelous way to spend a few hours in the morning or afternoon. While putting puzzles together, you can chat and learn all sorts of things about each other. Furthermore, lots of people can play. Even better, they can come and go as they please. 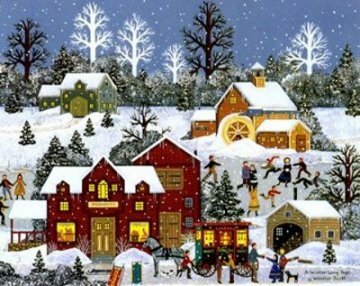 Putting together Jigsaw Puzzles isn't for everyone, but for those people who do enjoy puzzles, it is a perfect morning's entertainment. 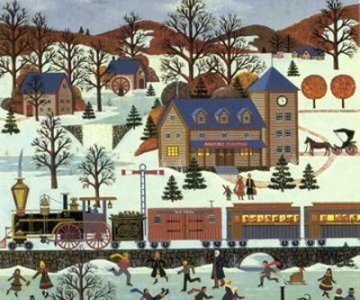 I used the beautiful artwork of Jane Wooster Scott to promote interest in our New England Trip. 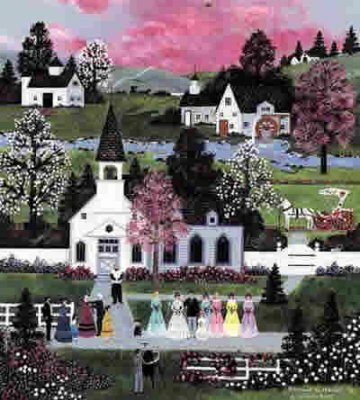 Jane Wooster Scott is an incredibly talented artist who loves to paint New England landscapes. I fell in love with her artwork long ago. 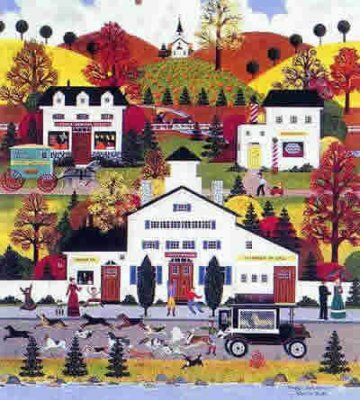 Many hours of putting her puzzles together had a special effect on me - I fell in love with New England before I had ever seen it with my own eyes. I put examples of her art up on my web site to promote interest in both her artwork and my trip to New England. In addition, I promised to work a couple of her puzzles during the trip. However I did not realize how busy this trip was. We were in port 6 days of 7. Our only opportunity to work a puzzle was our single day at sea. I have learned the best place to put our puzzles together is the Windjammer Cafe. The Windjammer is the perfect spot for this activity. The light is good, the tables are large, plus at some point practically everyone in our group wanders in for breakfast. That's when they spot me with my puzzle. Some stop by for just a second, some watch for a while, while others decide to sit down and help. I got started about 9 AM. The place was practically deserted. Right from the start I had a hunch that someone might say something about my taking up a table. Consequently I kept my puzzle under control and took up only two seats out of six at the table. At 9:45 the place got pretty busy. That is when one of the managers came over to me. He asked me to move my puzzle elsewhere. I had expected this would happen. Till now, I had not met one friendly person on the staff (other than the people working for tips). At every turn, my interaction with members of the Staff had been stiff and formal bordering on "cold". Why should I expect things would be any better here? As politely as possible, I explained that I was the leader of a group. This puzzle was a tradition with my group from previous cruises. I added that several people would be joining me shortly. Not surprisingly, the man could not have cared less. He explained to me that people would need this seat for their meals. I knew his point was valid. However there were more than a hundred tables in this room plus there was another dining room . People would not go hungry if I did not move. I told him that I intended to stay. I added that if anyone wanted to sit here, they were welcome to do so. This was not an acceptable answer. He asked me again to leave. I was taken aback at how insistent he was. There are some battles that aren't worth winning. This fight over two seats was one of them. I said that I would not leave. I told him for the second time that I had friends coming and that I had told them this was where I would be. If I moved, then they would not know where to find me. Now I decided to play my trump card. I explained to the gentleman that the supervisors on the Rhapsody not only allowed me to use a table for my puzzles, many of their waiters enjoyed coming by to put in a piece or two. I added that some of his own Jewel waiters had stopped by to help earlier. At this, the man threw up his hands and left in a huff. I understood where the man was coming from. The place was getting crowded. Soon two ladies from the Bahamas came by looking for a place to eat. I smiled at them. They immediately asked if they could sit at my table. Of course! After they finished eating, both ladies started to help me with the puzzle. The 3 of us were soon joined by various members of my group. As I hoped, our group had a great time finishing the puzzle. I wish I did not have to defy the supervisor who came to confront me. I understood why he coveted my table, but I secretly hoped he would notice the six people at my table having a great time and realize where I had been coming from. There was no other place on the ship that would suffice. Anyone with proper customer service instincts should have recognized that the damage to his dining room was minor compared to good will generated by a group activity such as this. All morning long people stopped to smile at our work and kibitz. Today's Windjammer confrontation plus the memory of the Shore Excursion Desk and other smaller incidents weighed heavily in my thoughts. I could not figure out why the staff on the Jewel was so consistently tense and unbending compared to my experiences on the Rhapsody where they were so eager to please. It made no sense. Was there anyone on this ship who understood that people on other Royal Caribbean ships go out of their way to be helpful? There had been a few grouchy people on other trips. For example, on the previous Rhapsody trip a photographer refused to move his light stand even though it cut our dance floor in half. And I remember another puzzle incident where some woman made us leave her area as she arrived for work. But those were two isolated incidents on different trips. By contrast, the entire staff aboard the Jewel was low on patience. Throughout the week, the passenger-staff relationship was a cold one. The crew seemed to be just as angry at the passengers as we were at them. To be quite frank, I blamed it on the Tender Problem. Someone on this ship was responsible for ruining the two most important days on this trip. But no one stepped forward to admit their failure nor did anyone take the trouble to apologize. They pretended like there was nothing wrong. Consequently a lot of passengers carried a big grudge. I'm sure we took our anger out on a lot of people who had nothing to do with the Tender problems because the people who were responsible stayed invisible. Today's stupid puzzle skirmish was a prime example of displaced anger. Angry passengers took their anger out on the wrong people who turned around and took their anger out at passengers who couldn't possibly realize the hostility had nothing to do with them. In retrospect, I am positive I would have handled today's confrontation much better if I wasn't so angry inside to begin with. I know I was short with the man because I was furious at the ship in general. I believe there was a glaring lack of talented leadership on this Staff. An air of tension permeated this entire trip because no one had the sense or the courage to step up and do something to defuse it. As a result, the crew was forced to absorb the anger of the passengers for mistakes they were not responsible for. No wonder everyone was grouchy. Angry ripples from the Tender incidents had affected everyone on this ship. On Day Four, Marla and I walked around Halifax. I was pretty much in a fog. As the day passed, I was preoccupied with the Tender problems. I realized I was still furious about how poorly the Jewel Staff had handled Martha's Vineyard and Bar Harbor/Acadia. I wasn't just mad for myself. As the group leader, I felt a responsibility for our guests on the trip. I felt a need to stand up for them. Most of all though I was disappointed in Royal Caribbean. There didn't seem to be any sense on this ship that they had done something wrong. Two thousand people had come on board in hopes of seeing a part of the world that was new to many of them. They had paid money for the cruise under the assumption that Royal Caribbean would do their job. Many people were horrified to see their visits to Martha's Vineyard and Acadia sliced in half. 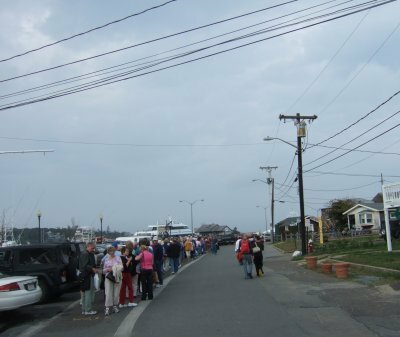 For many people, the Acadia visit was the most important day of the trip. Sad but true, due to the tendering problems some people completely missed their excursions that day! A prime example would be Jerry Boldra and Barbara Sherwood from our group. Through no fault of their own, they got to shore so late in the day that their bus was long gone (despite promises on the Jewel to the contrary). There was absolutely nothing left for them do but eat lunch and come back on board. Jerry and Barbara had traveled 2,000 miles and paid $2,000 apiece only to see the biggest day of the trip spoiled by errors and poor planning. 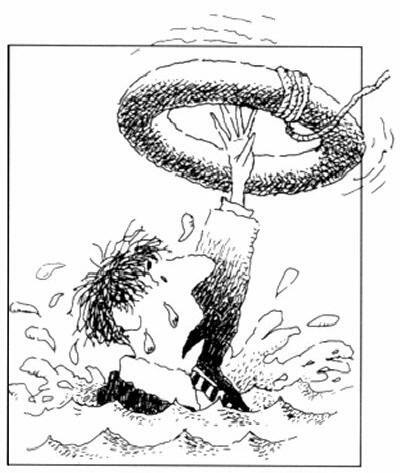 So what if one tender ran ashore and another tender hit a lobster trap? All that did was make a bad situation worse. Four tenders could never have gotten the job done anyway! The Jewel of the Sea Staff should have been mortified to hear reports that their bitter rival Princess Cruise Line had totally outperformed them at Acadia. Yet there was no apology forthcoming. There was no acknowledgement that mistakes had been made. Did anyone in the ship's administration even grasp that both days had been largely ruined by the Tender mistakes? Let me say something here. I wasn't just angry. I was hurt. That's right - I was hurt. I was disappointed in a company that until now had always earned my respect. Up to this point, I thought Royal Caribbean was special. 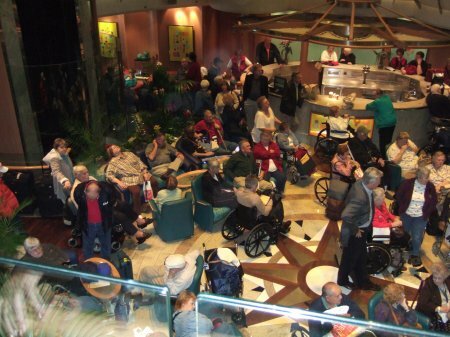 The Royal Caribbean that I knew was the kind of company that went overboard to take care of its customers. As I boarded the Jewel, six previous trips had led me to the opinion that Royal Caribbean was indeed an excellent company. One incident in particular always stayed with me - a looming disaster in 2004 that was rescued due to some hard work and a man with some courage. 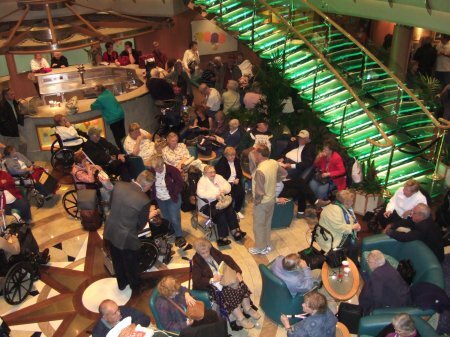 Back in February 2004, Marla and I witnessed a brilliant public relations effort on the part of Royal Caribbean. Due to an unfortunate accident in the Mississippi River, it seemed apparent our Mardi Gras Trip would be completely ruined. Our ship was forced to dock 100 miles away, but Royal Caribbean came up with a fleet of buses to take us into New Orleans nevertheless. Furthermore, Captain Charles Teige waged a gutsy campaign to cheer up his passengers. Showing a lot of guts, Captain put himself front and center with "Meet the Captain" sessions. Captain Tiege made the effort to personally talk to as many passengers as possible about the problem and explain the steps he was taking to make the trip work anyway. Believe it or not, Captain Charles rescued the trip in grand fashion... with a lot of support from Royal Caribbean. Once we got to New Orleans, we had a fabulous time. Not only that, but RCCL authorized an additional $100 shipboard credit to thank us for our patience. It was a very nice gesture. If you read my trip write-up, you will find that the entire group had a great time after all. Thanks to the extra effort on the part of Captain Teige and Royal Caribbean, this trip still remains today as Marla's and my favorite cruise ever. Now fast-forward to the New England trip. There was no blip on the radar regarding damage control. For all I could see, it was business as usual. They had an entire ship of angry passengers, but nothing was being done to reach out to them. 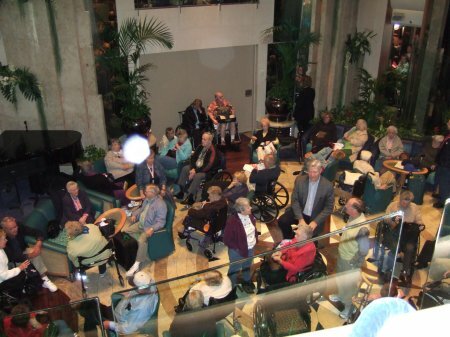 Therefore this Jewel 2006 trip put a huge stain on my opinion of Royal Caribbean. The saying One rotten apple spoils the barrel continued to rattle around in my brain like a mantra. How could the company fail to realize how poorly the Staff on this ship was performing? The tender problems had ruined the two most important stops on the trip, but the ship's Staff pretended like nothing was wrong! Was this a Ship of Fools? Was there anyone in charge who had a brain and a heart? It sure didn't seem like it. The more I thought about it, the angrier I got. I could not let this go. I decided to write a letter. One way or the other, I wanted to meet the people who were in charge and see what they had to say. I had brought my laptop. I got up early and started typing in the early morning. I finished typing up my letter just as the sun was rising on Day Five. I transferred a copy of my letter to a Floppy Disk I had brought along with my laptop. It wasn't like I had access to a printer. The disk was the easiest way to share my letter with the Jewel administration. That morning we had a dance lesson scheduled before going into St John, New Brunswick, later on in the day. On board the Jewel, we were assigned a Group Representative. For this trip, a lady named Tracy was in charge of looking out for whatever we needed. On this particular morning, we needed a boom box to play our CDs on for the dance class. Tracy was reliable as always. I put on some music and told my class to warm up. I asked Marla to start the class if I wasn't back in time. Then I asked Tracy if I could speak privately with her. A look of worry instantly crossed her face. After a moment's hesitated, she nodded permission. As we went out in the hall, she seemed very concerned about what I was about to say. If anything, she seemed "tense". There's that word again. Once in the hall, Tracy took control of the conversation. She asked, "What is this about?" I cut to the chase by bringing up the issue of the tendering problems. Before I could say another word, Tracy cut me off. "That wasn't our fault! We had two accidents!" Tracy continued to defend her ship's performance vehemently. I was taken aback by her emotion. Something was obviously going on behind the scenes after all for her to get this worked up. I had not said a word and she was already into a well-rehearsed speech. I wasn't in the best of moods on this subject either. I knew Tracy was not high enough in management to make any decisions, so there was no point in taking a discussion between us any further. I told her I disagreed with her, but I respected her opinion nonetheless. Then I pulled the floppy disk out of my pocket and handed it to her. Tracy actually flinched when I gave the disk to her. Keeping it in her open hand where both of us could see it, she asked suspiciously, "What is this?" I told her it was a letter I had written addressed to the Captain and to the Hotel Director. Tracy asked, "What is this about?" I answered that I had written a letter about the same concerns I had just spoken with her about. Tracy immediately handed the disk back to me. She said, "We are not allowed to accept things like this from guests. This might contain a computer virus. I am sorry." I was astonished. "Tracy, there is no danger. If you are worried, all you have to do is run a virus scan on the document before you open it. In addition, you have my word of honor this disk has no virus." "Absolutely not. I cannot accept this." As I took back the disk, I was angry. I limited my response to "Fine. Have it your way." I turned my back and stomped off to dance class. I was incredulous at Tracy's position. She was so tense that she had handled this situation as awkwardly as humanly possible. In fact, she figured that out on the spot. Tracy came running after me and asked permission to have the disk. I gave it back to her. Tracy said she would handle it and get back to me. As she walked away, I shook my head. Tracy had just uttered one of the dumbest remarks I had ever heard. I should have been insulted, but in reality I felt sorry for her. Something or someone on this ship was making people crazy. 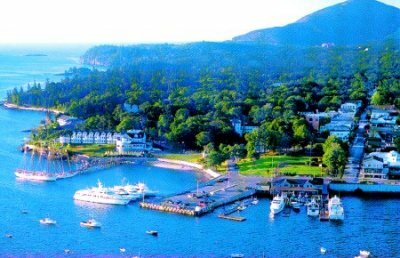 I am writing to discuss the �Tender� difficulties of Sunday at Martha�s Vineyard and Monday at Bar Harbor. My wife, Marla Archer, and I run SSQQ Dance Studio. It is the largest social dance studio in Houston, Texas. This year we are on pace to have in the vicinity of 14,000 customers. I say this not to boast, but rather to suggest these people are all potential future Royal Caribbean customers. Marla and I organize cruise trips through our dance studio. 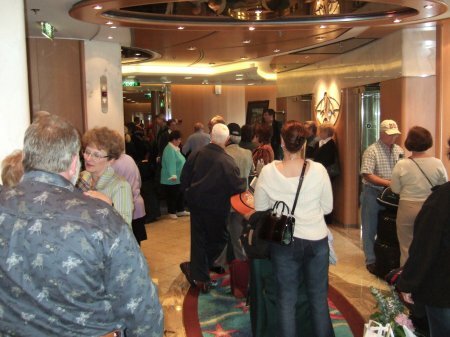 For this cruise aboard the Jewel, we are the leaders of a group of 38 guests. With a nod to the Seventh Voyage of Sinbad, this is our seventh trip with RCCL. It hasn�t been a lucky #7 so far, but there is still time. You know first-hand the tendering problems on this trip so forgive me for repeating many details you are already aware of. 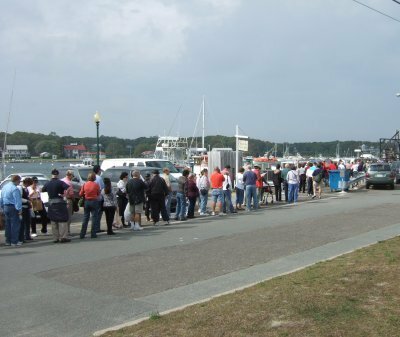 The Martha�s Vineyard Trip was originally advertised as a 7-hour visit from 9 am to 4 pm. Due to the tendering problems that day, I would estimate the time I spent waiting in line at 4 hours. My wife and I had two and a half hours at best to enjoy the island. I have since discovered that our experience was typical of the day. My wife and I were shocked at the extent of the problem. We decided that everyone has a right to a bad day and leave it at that. When there is weak performance, most people work hard to ensure the problems don�t recur. So imagine the dismay when we discovered the nightmare of Martha�s Vineyard was repeated the following day at Bar Harbor, only worse. Acadia National Park was the highlight of the trip for many of the people in our group. By placing tantalizing pictures of Acadia on our web site, we succeeded in capturing the fancy of Texans who wanted to see the beauties of a part of the world � New England � that was previously foreign to many of us. In other words, Acadia sold our trip. After this kind of anticipation, imagine the disappointment when a trip advertised as an eight-hour adventure at one of our nation�s true paradises was reduced to at best 3 hours. That said, Acadia was every bit as beautiful as promised. However the 3 brief tantalizing hours of joy were greatly diminished by the 4 hours of standing in line while we meditated on precious moments lost. Everyone in our group had problems, but I wish to share one story in particular with you. Jerry and Barbara, two members of our group, originally met at our dance studio. They took dance lessons together at our studio for six months during their courtship and recently became engaged. They booked this trip specifically to celebrate their engagement. In particular, your scheduled visit to Acadia was the major reason they wished to come on this trip. 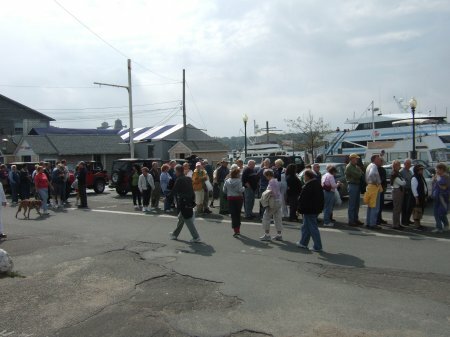 On the day of the Bar Harbor visit, Jerry and Barbara booked a 1:30 pm excursion. They were directed to wait at Coral Theater at 10 am. After what seemed an interminable wait, finally they were called to board their tender around noon. Sorry to say, Jerry and Barbara were definitely not the only people trying desperately to get ashore. The tender filled rapidly. Now four people were unable to get on the boat. Jerry and Barbara were two of these four people. Your staff reassured them repeatedly that their tour would wait for them. At 2 pm, Jerry and Barbara finally reached shore. Their tour had long since left. No other tour was available. So much for the empty promises of your staff. 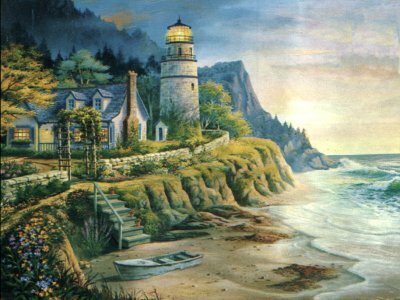 Jerry and Barbara never reached Acadia National Park. Instead they had a bittersweet dinner in Bar Harbor followed by an hour wait in line to get back to the ship. 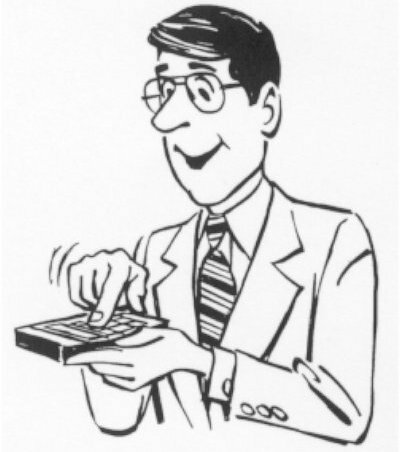 Jerry and Barbara were given a refund, but they didn�t want their money back. They already had lots of money or they could not have afforded this trip in the first place. What they wanted was to receive the experience they had dreamed of. They freed up time from their busy jobs and paid several thousands of dollars for the cruise plus airfare and hotel accommodations. Then they endured hours of tremendous travel headaches trying to achieve their dream of visiting Acadia. This trip was deeply important to them. But now the only memory they have is a trip ruined by your woefully inadequate tendering process. If I were in your shoes, my heart would be heavy upon hearing this story. Surely you have not become so jaded by bingo, casino, and drink tabs that you have forgotten you are supposed to be in the business of making travel dreams come true. Marla and I booked a Mardi Gras Trip in 2004 that was initially met with disaster. A shipwreck at the mouth of the Mississippi forced the closing of the river till all bodies were recovered. The RCCL Rhapsody was not permitted to dock in New Orleans. Instead the ship re-routed to Gulfport, Mississippi. The disappointment in our group was rampant. Our dreams of attending Mardi Gras were seriously jeopardized. RCCL mobilized a fleet of buses. Captain Charles Teige personally met with many of the passengers to allay their concerns. In addition to organizing the massive bus caravan, he authorized a shipboard credit of $100 for each passenger. A crisis was averted. We were able to enjoy Mardi Gras after all. This became our favorite trip of all. Upon my return to Houston, I wrote about Captain Tiege�s efforts to save the trip on my web site. By chance, a friend of his ran across the story a few months later and shared it with him. To my surprise, on our Wedding Voyage later that same year, Captain Tiege realized who we were and invited us to the ship�s bridge. He said he wished to personally thank us for our support and kind words. Today I see parallels between that trip and this. Our experience of the headline stop of the 2004 Mardi Gras trip was damaged, but not completely ruined. 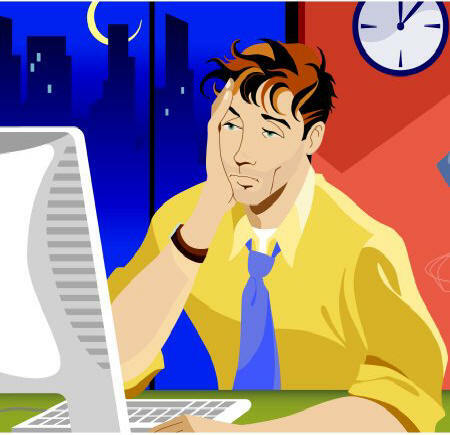 Extra effort on the part of your company rescued that trip from the jaws of disaster. Our experience to the headline stop of this trip - Acadia - was also damaged as well as was the trip to Martha's Vineyard. Unfortunately, there is no way you can rescue those two ports now. The damage is done. 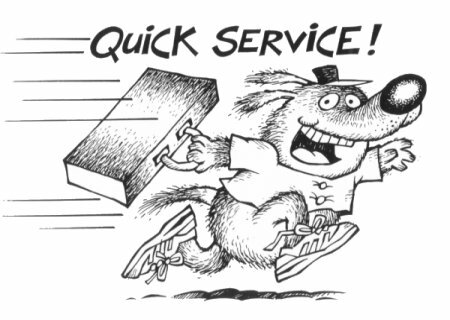 We paid for a service � two trips to two famous destinations - that was definitely not delivered to our satisfaction. The question is - how will you compensate us for our two losses? Therefore the ending to the story I will write about this Jewel of the Seas trip hangs in the balance. You are facing a public relations disaster on par with the Mardi Gras trip. In fact, your position is much worse. At least that time the problems were created by an incident over which the Rhapsody had no control. You don�t have that luxury here. In the situation of the tendering problems, the perception among the passengers is that the Jewel of the Seas was directly responsible for ruining two consecutive port trips. Sorry to be blunt, but it was an abysmal performance. I have no doubt you have had your share of bad luck, but unfortunately you expended all your �patience� credit at Martha�s Vineyard. There was none left the next day. Therefore the fiasco of Bar Harbor was inexcusable in the mind of every passenger I have spoken to. Complicating the perception of the Bar Harbor delays was the Princess comparison. 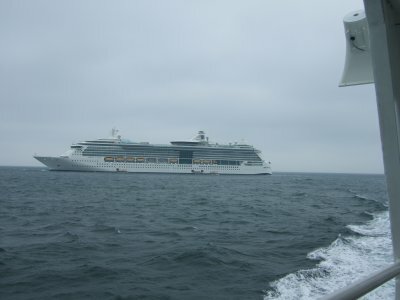 During our hour and a half wait to get back to the Jewel of the Seas, we were placed side by side with Princess passengers. Conversation with these people was difficult since they were constantly being whisked away to their own ship. However in the brief time we were able to talk, we ascertained the average wait time for tendering was between 10 and 15 minutes aboard the Princess. This looks pretty bad when compared to our 1 � to 2 hours wait time both ways. Not surprisingly, the talk at dinner that night included suggestions to try a new company for our next trip. Based on what I heard, I predict that unless you defuse the anger the tendering problems have created, you face a mutiny. 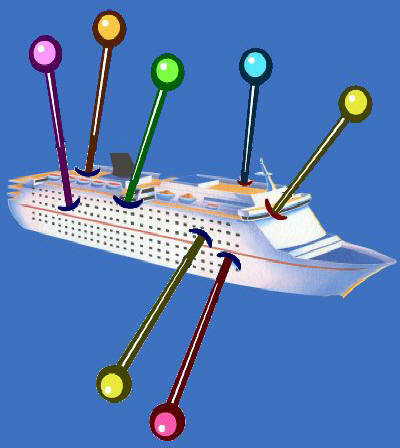 Your customers will retaliate in the only way they have available � they will switch cruise lines and give the other guys a chance. Fortunately, you still have time to correct the problem if you choose to. However, I don�t think you realize just how serious the problem is and how little has been done so far to alleviate the tension. Gentlemen, the only suggested response has been some vague offer of free drinks on Friday afternoon plus some credits on various excursions. This is a weak and deeply insufficient answer. I implore you to reconsider. You have hurt and bitter customers who have spent a lot of money and traveled thousands of miles to see places they have wanted to see their entire lives only to feel cheated. That is exactly how they feel: Cheated. And since then, nothing has been done to make them feel appreciated. Right now, the whole lot of them is ready to jump ship. An hour of free drinks will never mend these broken fences. These are proud people who require respect and consideration, not alcohol. I am sorry to say this, but I believe this token effort borders on �insult�. What you want is for these people to give you another chance. You have to reach their heart, not give them a chance to get drunk on the house. Please come to your senses and find a way to show your passengers that you care about them. 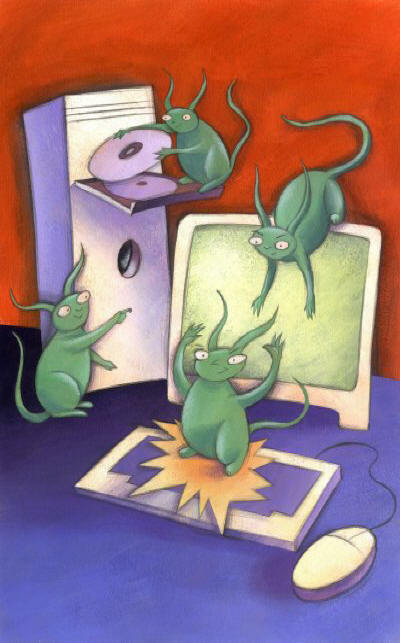 No one likes threats and I certainly don�t enjoy making them. I would much rather negotiate. That said, there are realistic consequences to be faced in the absence of positive efforts to compensate passengers for what they perceive as a serious loss. I can only speak for my own group, but as it stands today, these people are so upset they are saying they will never book another cruise with RCCL. I have been around long enough to realize that in time they will forget and forgive, but for the short term Marla and I would have no choice but to switch to other cruise lines at least for next year�s trips. I have great respect for Royal Caribbean and I have stood up for you before on several occasions, but this is one mistake I simply cannot cover for you. People will forgive an honest mistake if you say you are sorry and make more than a token effort to make amends. But so far, I have seen nothing along those lines. Marla and I will not gamble our own reputations. If I am going to help you repair the damage, you must help me. I recommend an immediate $100 shipboard credit as the simplest remedy. If you can do better than that, then more power to you. I realize this is a bitter pill, but this is exactly what worked for Captain Tiege in the Mississippi disaster. 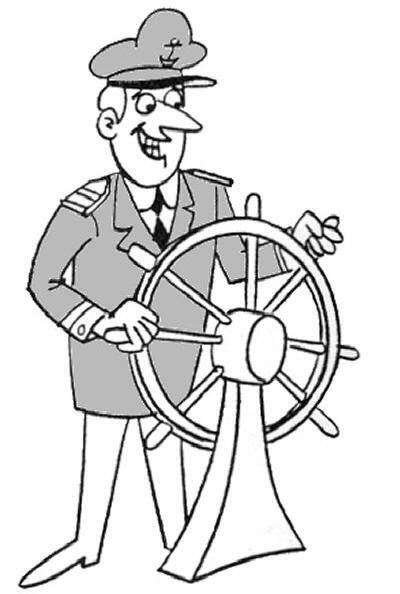 Plus a public appearance on the part of your Captain at some event wouldn�t hurt at all. This is not how you want this trip to end, I am sure. Please help. SIDE NOTE: In case you thought maybe the Jewel was having an off-week, forget it. The Problems you read about in my story are not new to the Jewel of the Sea. Excerpt One: "Our trip definitely started on a sour note. We arrived at the dock at Port Everglades a little earlier than planned; the place was utter chaos. It seemed that the ship was still off-loading passengers while trying to take in new ones. Either way, it took a number of requests from several different people to find out where we should go and what should be done with our bags. Worse, when we finally did get a porter to take our two suitcases, he began pointedly grubbing for a tip despite the huge sign over his shoulder saying that the porters are salaried and don't receive gratuities. 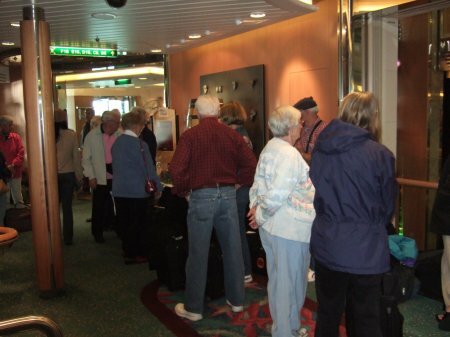 After a 90-minute wait, we were finally allowed to go to our stateroom." Excerpt Two: "Expect to wait in your share of lines on this ship. None of our waits were too long, but it was a bit exhausting to have to constantly stand around for things like an elevator, a tender ticket or to simply get into dinner." 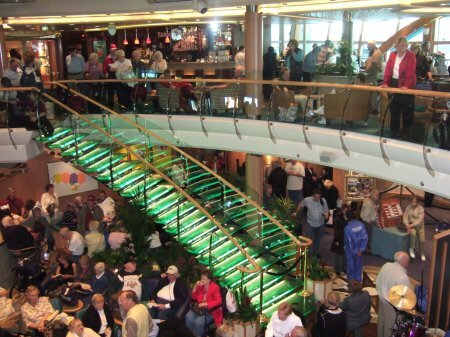 Excerpt Three: "The ship offers more casual dining in the Windjammer Cafe, which also serves breakfast and lunch. Snacks are available at most hours at the Solarium Cafe, including delicious, made-to-order crepes. My only gripe here is that the server that we encountered there each time was uncharacteristically surly." Excerpt Four: "Last was Grand Cayman. I'd say the low point of our trip occurred here with our tender ride over to the main port city of Georgetown. Not only was there a prolonged wait to get on the tender, but the docking procedure at the pier in Georgetown was one of the most unsettling moments of my life. Our tender driver had an obviously hard time getting into his docking area and managed to actually slam our tender into the one behind it. One of the workers trying to tie the tender off came within inches of being crushed; and all this happened within inches of me. Scary." It took a couple days for my letter to be relayed to corporate office in Miami and for their response to get back to the Jewel. To her credit, Tracy regained her poise. She left two messages a day on the phone to keep us appraised of the developments. On Saturday, our final day at sea, Marla and I received a request to meet with Nibu Sayed, the Hotel Director. There was another gentleman present at our meeting, but he only took notes. As I sat down, I realized I had seen Mr. Sayed once before. While I was waiting for one of the tenders to Martha's Vineyard, I made an open comment about problems getting the elderly onto the tender. A man standing next to me responded to my comment with a well-expressed observation of his own. I would tell you what he said, but I can't remember. I guessed he was probably on the Jewel Staff and that he seemed shrewd. Our meeting today would serve to let me know that my first impression had been correct. I remember that Mr. Sayed was vague on the issue of compensation. No commitment was made, but the illusion that my group might someday receive compensation was kept alive. I decided my earlier impression ("shrewd") had been accurate. However I did accomplish one thing. At my request, Mr. Sayed made a nice gesture. He authorized a special dinner for Jerry and Barbara to repay them for their terrible experience at Bar Harbor. It didn't take long for me to realize there was no real purpose to this meeting. If forced to guess, it was a schmooze session designed to calm down a hothead. Marla and I got to feel important enough to merit an audience with a powerful executive. Once I realized no actual business would be conducted, I decided to ask a question that had been burning a hole in my brain. I asked Mr. Sayed to help me out with a math problem I had been wrestling with. He said he would be glad to help, so I asked Mr. Sayed a series of questions. 1. Are there indeed only four tenders on the Jewel? Yes. 2. Are there any other boats that supplement the tenders? No. 3. Is the capacity of the ship 2,100? Yes. 4. 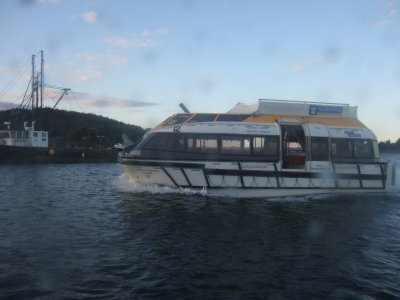 Is the capacity of the Tenders 120 passengers? Yes. 5. Does each Tender trip average about 40 minutes? Yes. Side Note: The 40 minute Estimate: 10 minutes to load, 10 minutes to drive to the dock, 10 minutes to unload, 10 minutes back to the ship. Interestingly, a month after my meeting with Mr. Sayed, I discovered the ship's daily newsletter said the trip to shore would take 20 minutes, not 10 as I estimated at the time. If the ship's note is correct, then the turnaround would become 60 minutes, not 40 minutes. "3 and a half hours" would balloon to 5 hours. My experience, however, was that the ride was closer to ten minutes. Furthermore, considering Tender capacity is really 120, not 100, I think with 4 Tenders on a good day they can get things done in three hours one way, three hours the other way. The important thing to note here is that even without the problems like Lobster Traps, rough waters, and hidden shoals, the wait would have still been 3 HOURS LONG for some people. The problems simply made it worse - Instead of 3 hours, Barbara and Jerry had to wait FOUR HOURS. After I finished my first series of questions, I paused for a moment. I was taken aback when I noticed Mr. Sayed was smiling at me. I got the impression that he was enjoying this. He seemed amused by my questions. I asked him if he would permit me to take this a little further. He nodded for me to go ahead. Simplifying things a bit, let's say there are 2,000 passengers who wanted to get to shore. To make division easier, let's say the Tenders only hold 100 people. That means there would have to be 20 trips. 20 trips means each of the four Tenders will make 5 trips. 5 trips times 40 minutes means 200 minutes. 3 and a half hours. That is just for the morning. In the afternoon you have to do it all over again. 3 and a half hours TWICE = 7 hours. In other words, the Tender boats spend the entire day going back and forth until the job is done. I asked Mr. Sayed if my math was correct. He said yes. I asked Mr. Sayed if this meant that some passengers would have to wait 3 and a half hours before getting to shore. He nodded this was correct. For my final question, I asked him if this was acceptable. He nodded yes. I could barely believe what I had just heard. I was so amazed at his candor, I was too stunned to take this any further. I was flabbergasted at the implications of what he had said. I had to get out of there. Marla and I thanked him for his time and left. After the meeting, I thought about what Mr. Sayed had told me. For starters, I appreciated his straight answers. One Internet story had labeled him the "Invisible Man", but I thought he was upfront on this sensitive issue. I did not like what he said, but I also did not wish to argue with Mr. Sayed. In hindsight, I probably should have confronted him. I should have told him that 3 1/2 hours of waiting is NOT acceptable. If tendering starts at 10 am, someone is going to have to wait till 1:30 in the afternoon to get off the ship at Acadia! Ask yourself this question - would you sign up for a trip to Acadia if you knew you might be the one to wait till 1:30 to get on the island? Would you invest $2,000 and fly 2,000 miles for the chance to sit in some lounge for three hours on your visit to Acadia? Do you remember Tracy's defense about all the problems they had to overcome - rough seas at Martha's, grounded on a shoal and caught in a lobster trap at Acadia? Yes, those unexpected problems made things much worse. But even in perfect conditions, I think the 4 tenders were nowhere near adequate to get the job done. Obviously everyone in my group liked the Princess Style better - whisked to shore, whisked back to the ship. I think Royal Caribbean would be well-served to reassess their position on this issue. Another issue I was concerned about was the practice of giving Tender priority to passengers who had signed up for an excursion. Why did this make them more important than my wife and me? I was not comfortable with that position. What about my trip? Why is their trip more special? It felt like a shakedown game. "Hey, Buddy, you wanna get to shore fast? Hey, I got a deal for you! If you want to get to shore pronto, just take one of our terrific excursions! You can go to the front of the line and we'll get you there in no time!" I didn't pay $2,000 and fly 2,000 miles to be treated like a second-class citizen. One thing people can't stand is watching someone else cut in line. On this trip, that's exactly how it felt to see the "Excursion People" go first. Just because I preferred to rent a bicycle on shore over a bird watching tour should not give the Staff the right to send me to the back of the line. But on the other hand, if the Jewel had whisked me to shore as fast as the Princess ship carried its passengers, I probably would not have even cared that I was told to go to the back of the line. MISSING IN ACTION - WHERE IS THE CAPTAIN? In my letter to the ship's administration, I pointed out an appearance by Captain Thore Thorolvsen might go a long way towards defusing all the anger and frustration created by the Tender problems. To my knowledge, the Captain never made a single appearance. His lack of effort stood in sharp contrast to the noble job put in by Captain Charles Teige on the 2004 Mardi Gras trip. Tiege had announced over the intercom that he was going to have a meeting to discuss the problems. This move took a lot of courage because he knew he was going to face a lot of heat. Sad to say, he was correct. 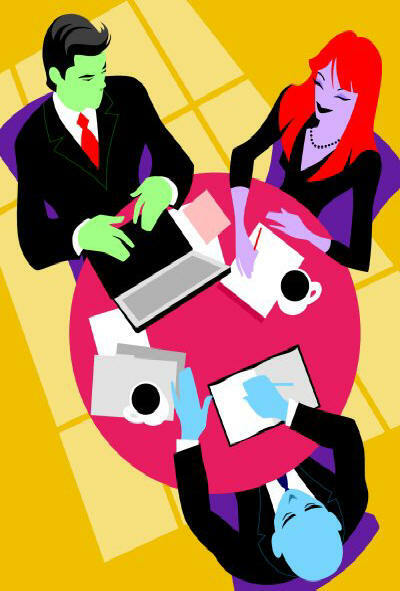 During that meeting, a group of travel agents hammered him viciously upside and down. They said docking in Mississippi was not acceptable. They wanted a free trip to make up for the delay and disappointment (none of which was the Rhapsody's fault). Captain Charles listened patiently to every complaint. To his credit, he never lost his temper. In the end, his hard work paid off. People started to calm down and this became a very successful trip despite the unfortunate inconvenience. Now that I think of it, the two-way bus trip to New Orleans cost me four hours. We are starting to talk about Acadia and Martha numbers, yes? But I was so happy, I didn't even notice it. That is the power of Captain Charles' magnificent intervention. Somebody cared. In stark contrast, Captain Thore never made an appearance. He never addressed the issue over the intercom. Nor did one letter dealing with the problem appear on our bed at night. Nothing. Well, excuse me, now that I think about it, there was one rather peculiar gesture. On Friday (the next to last day of the trip) for one hour during our day at sea, waiters appeared out of the blue to offer free drinks. They were supposed to tell the passengers this was a goodwill gesture to make up for problems earlier in the week. You know what? I thought the whole idea was an insult. Oh my, how thoughtful! We were cheated out of half a day at Martha's and half a day at Acadia - two places many of us would never be able to see again in our lives - but a couple free drinks is going to make it OK! Brilliant! I don't know why the some of the Staff were rude and why the Tender crew was incompetent, but my business sense points to a lack of leadership. I think the Captain owed his crew an apology. During this week of trouble, the Captain simply stayed out of sight and used his crew as a human shield so he wouldn't have to suffer. He could have used his presence like Captain Charles did to take pressure off of his crew. And don't think it didn't occur to him - I suggested it in my letter. Maybe he didn't bother to read it. 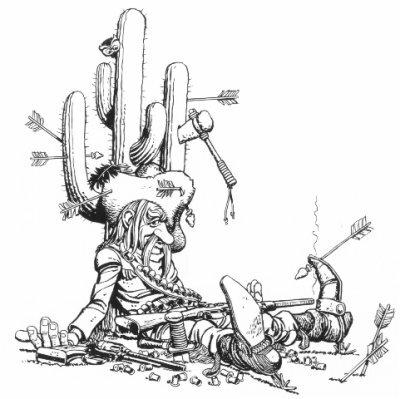 Instead, he left his helpless Staff on the front line to fend off the arrows fired in anger by 2,000 passengers. After my meeting with Mr. Sayed, I fell into a really bad mood. This man had looked me in the eye and indicated that a three hour wait for some passengers was perfectly acceptable. What business school did he go to? Now I just wanted to get off this ship as fast as I could. As I packed, I realized I was deeply worried about our final day. For our trip back to Houston, Marla had decided to gamble. She booked a 10:30 am flight from Boston to Houston. I was sweating because we had no margin for error on a ship that was famous for long lines. We had registered for the Express Walk-Off. 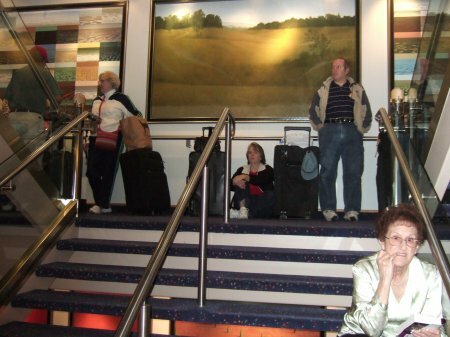 This is a service for people who are willing to carry all their luggage off the ship. Considering we had six pieces of luggage between us, this was an ambitious project. Marla was pretty skeptical until I pointed out the luggage had wheels. It wouldn't be easy, but she would try. We were determined not to miss our flight, but knew the odds were long. We needed to get to Logan Airport early. Logan was the departure point for flights involved in 9-11. The security since then had greatly improved which was good, but it meant the lines were slower. Marla wanted to get there two hours ahead of time like they recommended. With that in mind, we got up at 6 am the final day. We hoped to be first in line or pretty close to it. Skipping breakfast, we were in the Centrum lobby by 6:45 am. I found an ideal spot right next to the exit door on the Centrum level. Immigration should not be a problem since they had already checked our passports in the morning of Day Six when we docked in Portland. We were set to go. Or should I say I hoped we were set to go. I couldn't shake my bad feeling about this. My paranoia was well-founded. The first problem developed at 7:15 am. A Jewel officer came up to me and said I would have to move. He was very abrupt, but I wasn't going to give in. I asked why I had to move. He told me because this area was reserved for people with walkers and wheelchairs. I was upset. The room had practically filled up, but no one appeared to need my spot. I told the man I had been in this spot for 30 minutes and I needed it to get off the ship fast to catch an early flight. He said that wasn't his problem. I would have to move. Now I was getting angry. I pointed out there had been staff here the entire time. Why hadn't anyone said something to me earlier so I could have moved to another spot? Now there was no place to go! I pointed out that all the other good locations were now been occupied by other people. I was carrying six pieces of luggage. There was no place in sight where I could store six pieces of luggage and still be close to the door. The guy got in my face and said, "Mister, I don't care. Move your luggage now or I will call security." I should have appealed to another officer. But it didn't look like a battle I was going to win. So I gave up and moved. I was so mad. Plus I could see I had made an enemy. I made a quick decision - Marla and I would split up. Marla relocated not far from our original spot. She ended up directly under the green stairs (about where that orange and white painting is in the picture at the right). For my new spot, I moved my luggage to the very top of the green stairs. 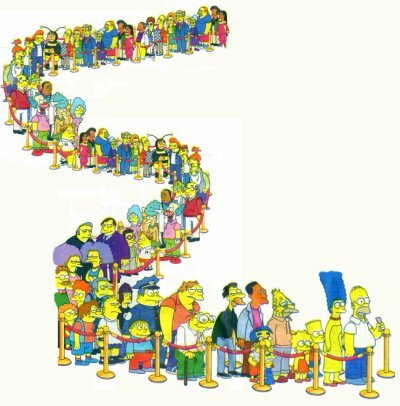 I figured once the line got moving, I would simply rush down the stairs and get in line. I had a plan. Once I established my position in line, Marla could join me without having to hurry. It was now 7:45 am. From my spot on the green stairs, I could see there was no sign of passengers being allowed to leave. I was getting angry again.... actually I stayed angry the whole trip so I must have been getting "angrier". The reason I was angry is that my friend Nick Mullet had used Express Walk-Off from the Rhapsody last month and he was off the ship by 7:45 am. Can't these people do anything right? A certain thought crossed my mind several times on this trip about how slow they were. Not one time was the Jewel Staff even remotely close to the Rhapsody curve when it came to moving people from Point A to Point B. Why did they always have to take so long? Lines, lines, lines! From my vantage point, I could see that all the effort Marla and I had used getting to the Centrum early had been a complete and utter waste of time. The place had become a zoo! There were now hundreds of people between me and the exit. I blamed the jerk who made me move for my predicament. 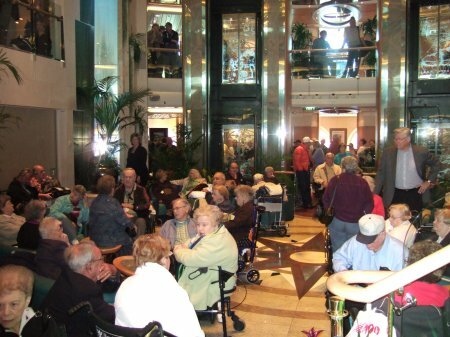 The Centrum floor was stuffed with wheelchairs and walkers. My floor at the top of the Green Stairs was stuffed. And from where I was sitting I could see every level above me was also crowded with people who wanted to get off this ship. It was 8 am when I realized that something was wrong. People should be getting off by now. But there wasn't even a hint in the air that they were close to letting people off. Marla called me on the cell phone from her spot one floor below. She asked me if I knew anything. I was in the dark. What about her? Marla was closer to the action. She said there was a rumor going around that Immigration would not clear the ship. She was starting to get very worried. It was our plan to be off the ship by 8:30 at the latest. Things weren't looking very good. They were about to get worse. At 8:15 am, my nemesis from earlier approached me at the top of the steps. Mr. Authority Man told me I would have to move again. I stood up and looked at him. I said he knew I had been here sitting for an hour because he saw where I moved after my first eviction. Now what was wrong? He said his supervisor didn't want anyone blocking the top of the stairs in case of a problem. That's when I lost my temper. I raised my voice and said, "Are you completely out of your mind? You have an entire floor of handicapped people jammed elbow to elbow downstairs and you're worried about someone sitting on your staircase!?" The man replied, "I'm not going to argue with you. I told you to move. Now do it." I didn't believe a word he said about his 'supervisor', but I was scared to argue any further. 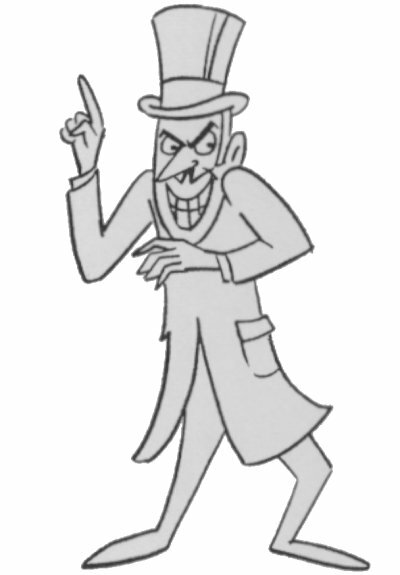 This guy wasn't just a jerk, he was a big jerk and now I was dangerously close to losing my self-control. I decided I had better join Marla before I went over the edge completely and exploded. The fastest way to get to Marla was to go straight down the Forbidden Staircase. Boom, I was down the green stairs before Authority Man could react. Of course he hollered at me that I wasn't allowed to do that, but too bad, I was already down. What was he going to do me? Make me walk back up and do it the right way? Or find where I was and make me move again? Now that Marla and I were together again, I could see how worried she was. She told me she didn't think we were going to make our plane. Her fears preyed on my mind. I felt virtually helpless to do anything about it. That's when I had an idea. 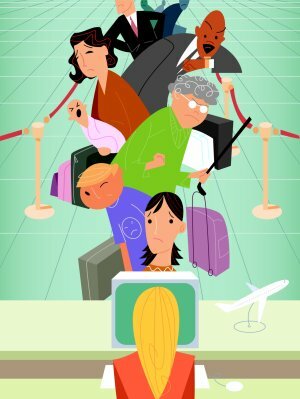 I had heard that Platinum Members (5 trips or more) were sometimes given priority treatment. Maybe they were allowed to get off the ship before anyone else. Marla agreed it was worth a try. After all, we were now Platinum Members; why not see if there was an advantage we didn't know about? At this point we needed an edge. So I took the elevator to the Viking Crown Lounge at the top of the ship. I entered the room where the Elite were getting VIP treatment. I was instantly thrilled to be there! I saw steaming pots of coffee and the yummiest donuts in the universe. Fighting off my guilt that Marla was down there starving and lonely, I told myself she would want me to eat. Three donuts quickly entered my body. My basic needs met, I turned my attention to the room. It was pretty crowded. Obviously the Elite hadn't snuck out the door either. Still, while I was here, I had to investigate. So I approached a junior Staff officer named Jeff who was overseeing the activities in the lounge. I asked Jeff if it was true that Platinum and Diamond members got off the ship before anyone else. He shook his head and said that was not the case. The Express Walk-Off people got off the ship first. I groaned. I asked Jeff if he knew what the hold-up was. He answered that being stuck up here in the tower kept him from getting the inside scoop. He had no idea what the problem was. Jeff paused for a moment, then added, "The way things have gone this week, I think this ship must have a curse on it." A curse? Had I heard him right? Suddenly Jeff had my complete attention. 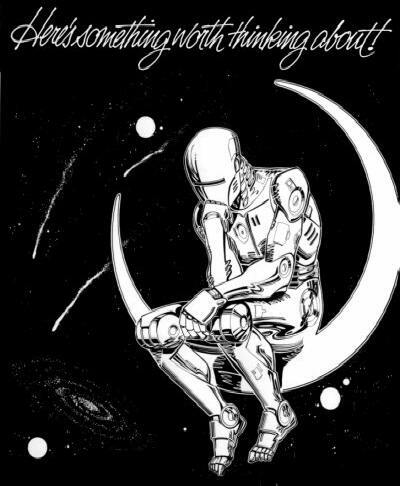 Jeff had just become the first staff member the entire week to talk to me like I was a fellow human being, not a passenger from hell. "What do you mean, Jeff?" "I mean nothing goes right on this ship. Half the Staff is trying to get off this ship. People are requesting transfers right and left. Me too. This ship is a tough place to work." I was astonished at the man's candor. I wanted to hear more, so I said, "It seems to me that the Staff is just as angry at the passengers as the passengers are at the Staff." "No kidding. Staff morale has hit rock bottom. They are so sick of getting screamed at by passengers they just want to get off this ship as fast as they can. One lady cried for an entire afternoon after some jerk started cursing at her over the Bar Harbor problems. It wasn't her fault, but she was in the line of fire and the guy let her have it." I nodded in sympathy. I told Jeff I had seen some of the passengers get pretty ugly that day. Their patience had disappeared after Martha's Vineyard and they were frantic to get to see Acadia. "Yeah, I know. It is just a bad situation all the way around. I can't imagine what the surveys will say. This week's surveys are going to kill us!" "What surveys? I didn't get a survey." 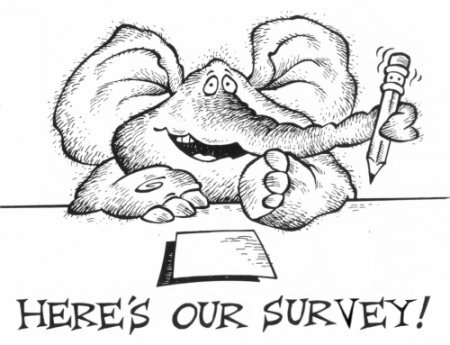 "The surveys are our biggest problem. The Jewel Staff has been getting the lowest ratings in the company now for over a year. We just can't seem to turn it around. Guess what? The other night they threw us a party. Wednesday night they reserved the Viking Crown Lounge for the Staff and got us drunk. I've never seen that before. They figured if they got us drunk, somehow we might cheer up. What a great morale booster!" I smiled. I reminded Jeff they played the same trick on the passengers on Friday with an hour of free drinks. He laughed at that. "I wonder what management program teaches that!" Just then my cell phone rang. It was Marla. She had to go to the restroom; would I mind coming back to watch the luggage? I told her of course I would come back, but I immediately regretted that the phone call had put an end to this conversation just when it was getting interesting. Maybe this ship did have a curse on it. You had my vote! I wanted to hear Jeff's theories on where the problems started, but my chance to get the inside story was gone. The phone call had broken the mood. I said my goodbyes and headed for the elevator. When I reached the Centrum at 8:45, I saw an officer so I asked what the problem was. She told me that Immigration would not release the ship for some reason. She added that she didn't have the slightest idea what had gone wrong. She just wished they would let the people go home. Amen. After Marla returned, she told me a bizarre story. It seems while I was gone, there was a nasty argument in the Centrum between two staff members. A female staff member was giving people permission to set up shop in the Centrum. Then a man came along and told them they had to leave. They protested, saying they had permission. The male Staff member said this area was reserved for the handicapped. They would have to go. That's when someone went to fetch the woman staff member. Now the woman and the man got into an argument right in front of everyone. The man stood his ground and the woman left in a huff. I frowned. This story sounded familiar. I asked Marla to point out the tough guy. Sure enough, it was Authority Man throwing his weight around again. I guess with me out of the picture upstairs, he had to find someone else to kick around. I discussed a secret plan with Marla. We were hiding under the Green Staircase. From this vantage point, we could make a beeline for the Rope Barrier (see the red arrow marked "Escape Route"). Our only other choice was to move to the right through the sea of wall-to-wall wheel chairs with our six pieces of luggage and get in line in the Check-Out Hallway. At 9 am, they announced that the Express Walk-Off people could now leave. My trick worked. Well, it almost worked. We got to within five feet of the checkout station only to be stopped by a rope barrier with a guard standing over it. The guard told me we could NOT cross this barrier. We would have to go around the long way. 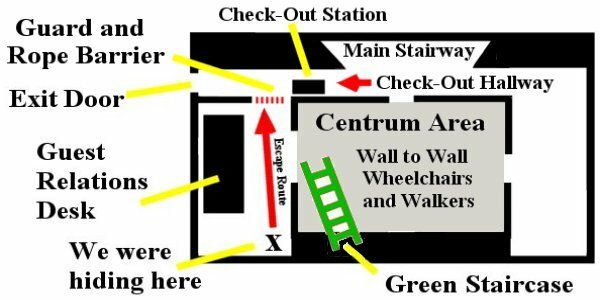 The guard pointed to the wheelchairs in the Centrum. He said we would have to go through their area and come back around to the hallway. Marla and I looked at the mob in the wheel chairs. With 6 suitcases, there was no way we could wheel our luggage through that congested area. Nor did we have the strength to carry 6 suitcases. We were in trouble. I looked the guard in the eye. I said, "Sir, we are trying to catch a 10:30 plane. It would be very difficult to get our luggage through that crowd. The people are too close together. I could never wheel the stuff through. And if I carried it, I might stumble and hurt someone. Would you please let us leave our luggage in this spot? Without the luggage, we can walk around. Then we will pick it up after we clear the checkout station." The man looked long and hard at me. I had just asked him to break the rules and look the other way. I held my breath. He couldn't make up his mind. This obviously wasn't easy for him. Something was bothering him. My immediate guess was that something weird had been going down this morning with the Immigration people. I gathered there was some kind of 9/11 paranoia in the air. Did he think I was some terrorist trying to pull a fast one? I had to do something. I asked Marla to show him our 10:30 plane tickets. That broke the ice. He relaxed and said okay. Maybe it was the pitiful expression on Marla's face that made the difference. He said I could leave the six pieces of luggage next to him. I was really grateful. He had just given us a fighting chance to catch the plane after all. Marla and I frantically clawed our way through the mob. It took us ten minutes to to make a complete circle back to exact same area we had just left. Except this time we came from the "correct" direction down the hallway. Now that we were in right place, it took us all of 15 seconds to be cleared. That's right. 15 seconds. They took our sea passes and went click click. I ran over to the luggage. Just as I was poised to make our getaway, disaster hit. Authority Man spotted me reaching under the rope to claim my luggage. I saw a huge frown cross his face when he saw it was me. My heart sank into my stomach. Uh oh, this was big trouble. Sure enough, Authority Man ran over and started barking at me. He said I absolutely could not pull my luggage under the barrier. I would have to carry it the long way around, a task I estimated at 30 minutes. Now I was in a jam. I pointed to the guard. "This man gave me permission to leave my luggage in this spot. He said this would be okay." I was worried I had put the guard in a bad spot, but it was my only hope. Authority Man turned his angry gaze to Guard. Authority Man glared at Guard. Guard glared back at Authority Man. It was Alien vs Predator. My fate hung in the balance. Authority Man barked at the Guard, "We were given specific orders to prevent people from leaving through this area. You know that. What do you think you're doing?" I figured that was the end of it, but to my surprise Guard decided to stand up for me. "I gave them permission. They need to catch a plane. Let them go." Authority Man was momentarily speechless. He was stunned that the Guard was defying him. I wasn't going to wait for Authority Man to recover. While he glared hate darts at the guard, I pulled all six pieces of luggage under the rope with super-human strength. I got the big ones on their wheels, stacked the smaller ones on top, handed one stack to Marla, and threw the two carry-ons over each shoulder. The two of us raced to the door. Amazing what adrenaline can do. There were cops standing everywhere. One word from Authority Man and we would be toast. I was still really worried. Out the door.... we escaped! I didn't look back. Marla and I were hiding in the dark area behind the Green Staircase in the upper right corner of this picture. at Crunch Time, but this area was twice as dense! This picture was taken an hour before they started letting people off. Here there was a corridor, but it was long gone by the time they finally got done to business. In hindsight, I am crestfallen to admit my aggressive behavior was unnecessary. Two other couples from our group made the same flight without resorting to any shenanigans that I know of. But, as they say, hindsight is 20-20. I pushed as hard as I did because I was dealing with the unknown. I did not know how long it would take to get to the airport. I did not know how long the airport security lines were. I did not know how far ahead you had to get there to check your luggage. 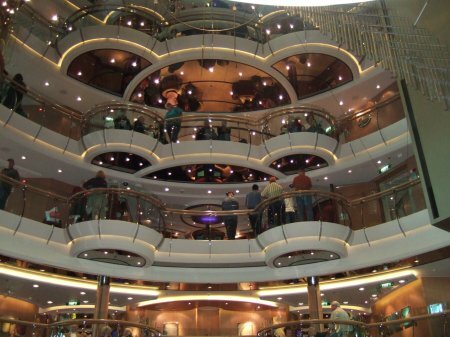 Most of all, I had no idea how quickly the Jewel Staff would get us off the ship. The week's events led me to believe the worst. Furthermore I was still burning over the treatment given to one of the nicest couples on the trip at Acadia. Jerry and Barbara had learned the hard way it didn't pay to be cooperative. On their day at Acadia, they took the Jewel Staff at their word that their excursion would wait for them. They stayed behind while others in the group went ahead of them. This decent gesture on their part cost them another hour of waiting. Making matters worse, they missed their tour in the process. Yeah, the tour the staff had promised would wait for them. Yes, they got their money back, but who cares? Barbara and Jerry were cheated out of a wonderful experience. Never had the cynical words 'nice guys finish last' rung more true. All Saturday flights to Houston were completely booked that day. If Marla and I were going to miss our plane, it might not be till Sunday that we could find another opening. We had a new dance semester starting on Sunday at 4 pm. I could not afford to take a chance. I try to be a kind and respectful person in my dealings with my fellow man. That said, I am well aware there is a dog eat dog side to me as well. I try to keep it hidden, but today I felt like I was forced to behave like a jerk to get my way. I was not at all happy to see my dark side on display, but I had lost all hope in the "Nice Guy" approach. I don't think I was alone either. That is what this week did to a lot of passengers - it created tremendous hostility - and that included people on the Jewel staff as well. Mr. Authority Man would be a prime example. Throughout the morning, the tension between the passengers and the Staff assigned to "handle us" was unbelievable. There were many very unhappy people. Wherever I went or Marla went, words of complaint, anger, and bitterness could be heard on the lips of every passenger. Therefore, as the day began, my disrespect of the Jewel's crew based on the week's activities led me to assume that whatever might go wrong would go wrong. Therefore I refused to sit back and helplessly cross my fingers for luck. I intended to try as hard as I could to make that flight. The ridiculous events of that morning proved my bad attitude was completely justified. Other than the guard who risked his job to help Marla and me with the Rope Trick, I did not see one example where the Jewel Staff made any moves to make a bad situation any better. Pandemonium ruled the day. As we sat in the airport, I told Marla about my talk with Jeff and how he told me the Jewel Crew had the worst ratings in the entire fleet. After this morning's ordeal, I was in the mood to fill out that survey. So I asked Marla if we had gotten a survey. She said no. She added that we had gotten one on the Rhapsody trip, but she hadn't noticed one this time. Slowly but surely some of our companions joined us. George and Risa were on the same flight. So were Dan and Judy. Dan said he had gotten a survey, but threw it away in disgust. George said he did not get one. Marla immediately came up with a Conspiracy Theory. She wouldn't be surprised if they limited the number of surveys handed out to try and minimize the bad reports. She couldn't see them giving a survey to me, that's for sure! I smiled as best I could. That was my first laugh of the day. I was so beaten down by this trip, Marla might just be right about the surveys. When Jeff had told me they were the worst-rated Staff in the fleet, I believed every word he said. Across the board, the Jewel Staff had to be the most unhappy bunch of people I have ever met. They even fought amongst themselves. In a way, I felt sorry for them. It had to be tough working with passengers like me who argued with them. Confrontation is tough on everybody. But you already know why I argued with them - I had decided standing up for myself was the only choice I had. Furthermore I don't think I was being unreasonable. I was fighting to catch a plane and, other than the guard who risked his job, they did nothing to help one single bit. The crew seemed oblivious to the number one axiom in the Service Industry - The customer is always right. I have to say the Crew had a chip on their shoulder from Day One. They created a climate of animosity right from the start with incidents like the Cattle Call and the Shore Excursion Shut-Down. Then came the dreadful Tender nightmares. This cruise not only got off on a bad foot, it was completely doomed after the Tender mishaps because no one stepped up to correct the mistakes. I would be curious to know what went on behind the scenes to contribute to all these problems. 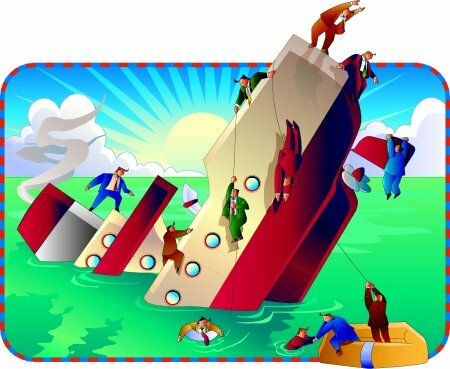 Why did so many Staff members want to jump boat and transfer out? Why was morale so bad? For answers, I think I would start by looking for the missing Captain. Other than a couple perfunctory appearances where he told the same old jokes and bragged about how big the new ships were, he was invisible the entire trip. I hate pointing fingers at a man I never met, but I am convinced that his continued absence was a terrible mistake. Is too much knowledge a bad thing? Does Ignorance really lead to Bliss? Some members of our group told me they had a marvelous time. For example, Leeane Parkinson told me she loved the trip. However, this was only her second cruise. Somehow I think people are much more accepting of the problems when they don't have other examples to compare with. How do you appreciate 'sweet' if you haven't met 'sour'? 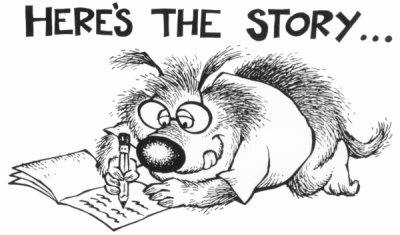 Speaking of 'sour', you might be surprised to discover my previous write-ups were not filled with sour grapes. If anything, they were full of praise. I have long been an admirer of Royal Caribbean. Why else would Marla and I stay with this company to the exclusion of other lines? Repeat business is a powerful sign of approval. Before this trip, my six previous trips had given me the impression that RCCL had combed the earth to find one talented staff person after another. I always was amazed by the intelligence and social grace of the people I dealt with. If you don't believe me, here is proof from my write-up of the 2002 Rhapsody Trip. The staff was attentive, which included the many people who did not work directly for tips. I got the impression that RCCL had combed the planet to find the most talented people from every country to work on this ship. The crew from top to bottom was intelligent, alert, and very personable. I loved to talk to them about their home countries and noticed how consistently excellent their English was. Punctuality and responsibility were top-notch. The attention to details everywhere was commendable. For example, I forgot my tuxedo studs. For the very fair price of $5, I was given a set to use for Formal Night and it was delivered in 5 minutes. The cruise ran with the precision of a Swiss watch. The staff people I met were smart and socially gifted. That said, now my previous experience worked against on the Jewel. My harsh criticism of the Jewel crew was affected by my understanding of how much better other RCCL crews had performed in past trips. Was this ship cursed? If you think 'Voodoo', no, of course not. But it did suffer from the Curse of Poor Management. Things constantly went wrong. Front and center were the Twin Tender Disasters. I am sure if you asked Tracy or Mr. Sayed or the Missing Captain, they would lay the blame on the Tender delays on rough seas and the accidents. But that is nonsense. If anything, they used the rough seas and the two accidents to disguise the true failure: There were simply not enough tenders. The coincidence of Princess situation in Acadia put the Jewel in the worst light possible. It was impossible to overlook the Princess ship ferrying its passengers back and forth at a brisk clip. The contrast made the Jewel operation look completely incompetent. The shocking image of the Jewel line standing still while the Princess people were virtually sprinting to their tenders can never be forgotten. If Mr. Sayed and his company believe their performance was acceptable, they are out of their minds. The passengers on this trip had every right to be furious. The Tender Problems poisoned the entire trip by creating negative energy that was never dealt with. Everything came to a head during the Final Day Fiasco. You have no idea how much venom was expressed by one passenger after another. The room had turned vicious. Again, I am sure if you asked Tracy or Mr. Sayed or the Missing Captain, they would lay the blame on the Immigration people. But at what point do you stop making excuses and take responsibility for running a Bad Ship? You have to ask yourself, how long can RCCL executives continue to look the other way? The problems on this trip were just the tip of the iceberg. How can RCCL overlook an entire year of underperforming every crew in the Fleet? My strongest condemnation of the Administration concerns their galling insensitivity towards the people they were supposed to serve. Mr. Sayed, the Hotel Director, looked me in the eye and told me he was satisfied that 4 tenders could do the job. How on earth does Mr. Sayed condone a built-in THREE HOUR WAIT? No one would tolerate that kind of wait if told the truth ahead of time. For someone like me who was dying to get to shore, the two hours I waited was an eternity, but a 3 hour wait would have left me apoplectic. And if I had been in Jerry and Barbara's shoes - a four hour wait - I would have been tempted to push someone overboard. Maybe the Captain was indeed smart to stay out of sight. No one in the Jewel Administration ever apologized. No one seemed to care. No one ever publicly acknowledged any concern whatsoever for our discontent. Furthermore, the Jewel Administration came away looking like the Miserable Misers of Misery for pretending nothing was wrong after the Tender Disasters. I believe they wanted to avoid admitting responsibility to avoid issues of compensation. No other explanation makes any sense. My business sense tells me they believe they saved a coin or two in the short term, but in the long run, I bet their decision will backfire. According to the passengers I overheard complaining in the Centrum during the Final Day Fiasco, there would be a lot of customers jumping ship to other lines in the future. For that matter, after this trip, Marla refused to have anything to do with RCCL in 2007. This trip was the worst public relations disaster I have ever witnessed. First, I'm flattered that you chose to use excerpts from my report and don't mind in the least that you did so. Thank you for letting me know that I was being quoted and for sharing your experience. Second, my heart goes out to you for what turned out to obviously be a disaster of a vacation. Even if you had sugar-coated all the events of the trip, it's clear that the staff of the Jewel (and, in turn, RCCL) let you down in just about every way. It's seems they've totally lost touch with the fact that they are a service industry... their purpose is to serve, not make excuses and make a lot of money in the process. To give you just a little bit of background about me, I put myself through college (and subsequently saved money for my first home) by waiting tables. I take great pride in the fact that, in the day, I was an excellent waiter. It taught me incredible lessons on how people should be treated, as well as the delicate art of not being run over by an angry customer with unrealistic expectations. That said, I don't believe for a second that your expectations were unrealistic. Further, your complaints were handled horribly. RCCL should be ashamed. What really breaks my heart is that all this occurred on your trip to New England. 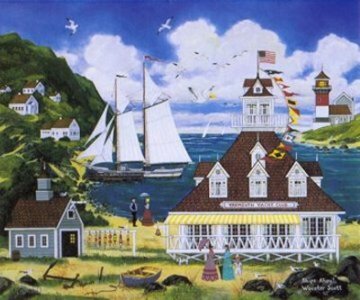 I live in Connecticut (an hour outside of New York City) and grew up in the central region of the state, which is chockfull of classic New England towns. Likewise, my life has been filled with trips around the region. True, some of us Yankees can be a little gruff and stoic, but I feel that the area is one of the most beautiful in the US. I'm crestfallen that you really didn't get a chance to get a true taste of New England on your trip. Again, please my condolences for your lousy treatment on the Jewel and my kudos on a very well-written response. If I can provide any further information whatsoever, please do not hesitate to contact me. I truly hope that you make it back to our neck of the woods sometime soon! First I am going to let my fellow travelers review this article and comment on it. I told the story as accurately as I could, but I admit I based some of my assumptions on limited knowledge. Perhaps other members of the trip have more information to share. After I get their feedback, in January I will send a letter to Royal Caribbean. I will steer them to this web page and let them read the whole story for themselves. If I were in upper management, I would want to know how bad things are on this ship. I will ask them to address the issues I brought up in this story. If they respond - and I hope they do - I will then print Royal Caribbean's response in [This Space]. It is my hope that someone in Corporate Office will try to mend fences. However, if the space above remains untouched, assume that no response was ever offered. Mara and I are at a crossroads. We don't know which is the true face of this company. If I hear from the "Royal Caribbean" that we did business with at Mardi Gras 2004, then Marla and I will book another cruise with them. 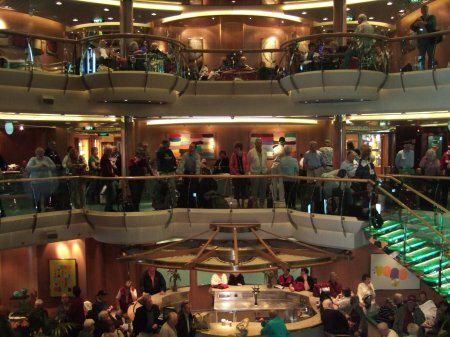 However, if the Royal Caribbean response parallels the attitude of the Miserable Misers of Misery aboard the Jewel, it is time to give some of the other fine Cruise Lines a try. SO WHAT DID RICK REALLY THINK ABOUT THE TRIP? Rick, I read your articles on the New England cruise last year. Wow! Pretty bad!! Glad I didn't go. No matter how great the destination is, a ship can sure ruin one's vacation.... I was mad just reading your article. It is a misconception to think I did not enjoy this trip. Actually, this was an incredible trip. Salem Village, Boston, Martha's Vineyard, Acadia, the Titanic Museum, the crazy water ride in St John, plus the beauty of New Hampshire on the last day - I am very glad we went. That said, I do intend to share my thoughts with RCCL at some time in the near future. For the moment, they are already paying for the poor performance of their staff - we deliberately avoided RCCL to go with NCL for Hawaii which, by the way, is certain to become the largest non-Caribbean trip we have ever taken. Plus Marla is considering using Carnival for the late summer Caribbean trip. (Update: Marla did go with Carnival. See Carnival Conquest in September 2007). Royal Caribbean's vaunted reputation for Nordic efficiency took a Titanic size hit on this trip. The image of the Princess people practically galloping to their tender versus the stationary Jewel line that snaked up the hill at Acadia is a sight I hope I never have to see again. Nevertheless, of the ten cruises SSQQ has taken so far, I would rate this as my third favorite trip behind Mardi Gras 2004 and Alaska 2005. The destinations on this trip were incredible. Although the Jewel's problems diminished my pleasure, I will treasure my memories of this trip forever.